I had been waiting to see Whiplash ever since the reviews started pouring in. Here was a movie right up my alley! I love intense films between a small number of characters, because you get to spend a lot of time with them and dive deep into their psyche. Well, nothing could prepare me for what I saw a few nights ago. I saw about 270 films this year, and a number of TV shows start to finish. 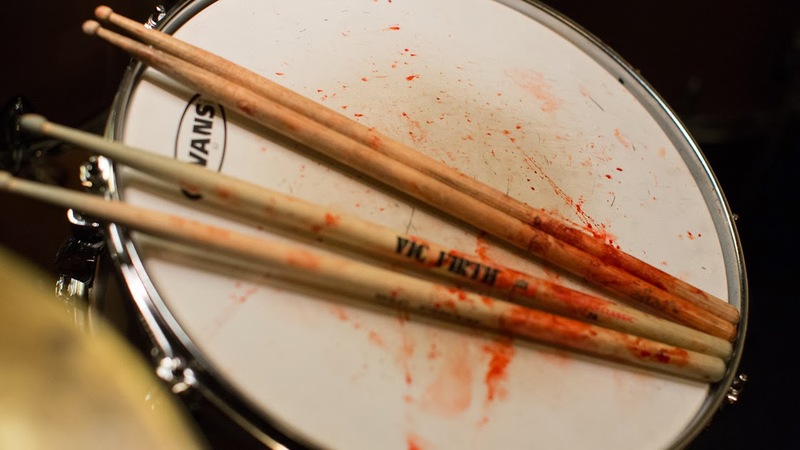 Whiplash had the sort of finesse, quality, and precision a guy like me dreams about. It’s without a doubt, my favorite film of 2014. This review might seem a bit gushing, but I really don’t know how else to convey my experience. I sat till the lights came up when it was over, then drove home about 40 miles with the radio off in silence. I had to think. The film had rocked me, and I related to the story on such a deep rooted level that it caused a sort of numbness. How often do we get a movie this good? 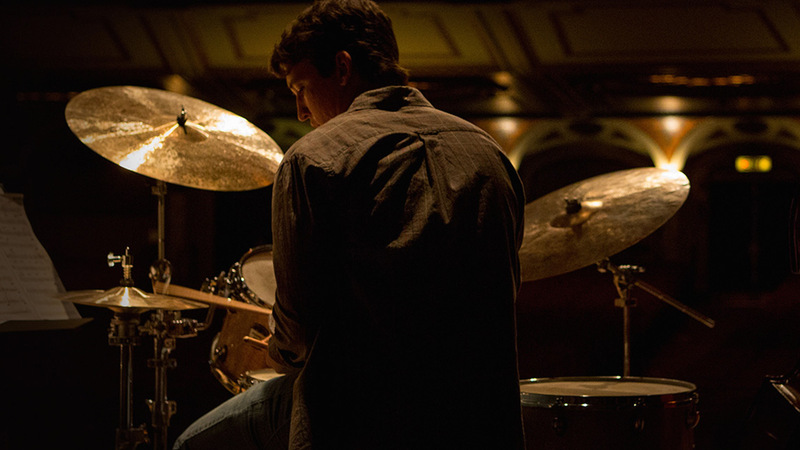 Whiplash is the story of Andrew Neiman (Miles Teller), a 19-year-old jazz drummer who, at the start of the film, is accepted into the Shaffer Conservatory, the best music school in the United States. He begins dating Nicole, a college student working at a cinema frequented by Andrew and his father. He aspires to become one of the drummer “greats”, like Buddy Rich. With many of his classmates knowing that an infamous Shaffer conductor Terence Fletcher (J.K. Simmons) is looking for a new drum alternate, Neiman successfully auditions for him and joins his class. The story goes on to develop the teacher/student relationship between Andrew and Terence, an emotional powder-keg set to detonate at any moment. Beyond the story and characters, what really knocked me out in the film was something I mentioned up top: PRECISION. This film is incredibly precise. For a film shot in 19 days and edited in 9 weeks, it’s a miracle of editing. Every beat of the film feels perfectly crafted. It may sound hamfisted to say the film is “pitch perfect” or “hits every note,” but it’s a gem. I really hope it gets an Oscar Nomination for Best Editing. It would take me forever to sit down and craft a game-plan to even attempt some of the sequences in the movie. For a guy so young, Damien Chazelle shows a remarkable amount of craftsmanship. It’s not surprising he’s being tapped for multiple projects going forward. His DP Sharone Meir lenses the film with a beautiful pallet, helping Damien fully realize his vision. The intense color in the film, particularly the warm tones and striking contrast lend to the film’s intensity. If J.K. Simmons doesn’t grab an Oscar this year I will be very disappointed. It’s been a long time since I’ve seen a performance as good as Terence Fletcher. The very first scene of the film tells us everything we need to know about him. J.K. takes that instrument of his and knocks you out in a crescendo of vulgarity that scares you one moment and makes you laugh the next. He was such a fascinating character to watch. He (the character) is clearly great at what he does, but his abusive behavior with his students, his demeanor, and other aspects of how he carries himself makes you unsure of his intentions. Is this guy just a jerk? Does he relish it? He strives for perfection, for greatness in his students, but his methods are questionable. The film is basically a giant guessing game, with you almost wanting him to push his students and Andrew’s character at times, and in other moments you want to tackle him in frustration. Like any great film, each new scene reveals something new about his character, and keeps the guessing game going. What J.K. does so well is ride that line of anger and sympathy. I’ve always found him to be extremely likable as an actor, and he brings a lot of weight to the role of Terence. There’s a moment where he arrives in class to announce one of his former students is dead. He is emotional, sincere, and clearly shaken. It’s in those moments that he becomes something much more than a man who yells. This is what a great antagonist looks like. It would be so easy to make his character a brute who screams and yells profanities with no humanity. In other hands, he’d be just another one-dimensional bad guy, square and boring, but Writer/Director Damien Chazelle rounds out his character on the page and J.K. gives him emotional weight. Andrew Neiman played by Miles Teller is equally fascinating. I’ve been watching Teller for a few years now, and he’s A-list talent all the way. The upcoming Oscar race will likely secure that, when he gets his Nomination. If he doesn’t, like Simmons, I’ll be hugely disappointed. It would be fantastic if he won. Teller plays the role of Andrew with as much intensity as Simmons, but his is more internal. The most incredible scenes are those with him alone, drumming. His intense desire for greatness and the brooding rivalry with Terrance portrays what might be the finest example of the artist’s struggle ever put on screen. You wince while Andrew practices with so much rage that blood pours from his finger tips and hands. He plays through the pain before finally dipping his hands into jugs of ice water. He goes through one bandage after another for the cuts and blisters that constantly develop, worsen, and break open. The film is a literal portrayal of the artist’s struggle as well as a powerful metaphor. What does it take to be truly great? I can’t go on about the story without spoiling the film, but as a filmmaker, and someone who has always been artistic, I could understand the pain and the anguish Andrew was going through. I’ve had my own days with bloodied hands, just different context. I’ve thrown things, screamed obscenities, and boiled with rage, all for the sake of trying to create something. The struggle is real, and the desire to be truly great at something without the blood, sweat, and tears, means little. You’ll either bleed to reach for that greatness or you won’t. Desire isn’t enough. As Terence says to Miles at one point, “There are no two words in the english language more harmful than good job.” While some may scoff at the sentiment, we live in a culture dominated more and more by the acceptance of mediocrity, school activities where everyone gets a medal to not cause “emotional distress,” and other sorts of conditioning. Our military pushes our troops farther than they think they can go, not by holding their hand and giving them a hug, but through a level of intensity that is extraordinary. To be truly great at something always requires more than you expect to give, and everyone needs someone in their life who’s willing to push them to the limit, and sometimes far over it. Greatness is something few people achieve. The question that Whiplash asks is: How bad do you want it? This entry was posted in Reviews and tagged film review, movies on January 1, 2015 by Kyle Prohaska. My name is Melissa Montanez and I work at HuffPost Live, the Huffington Post’s online streaming network. 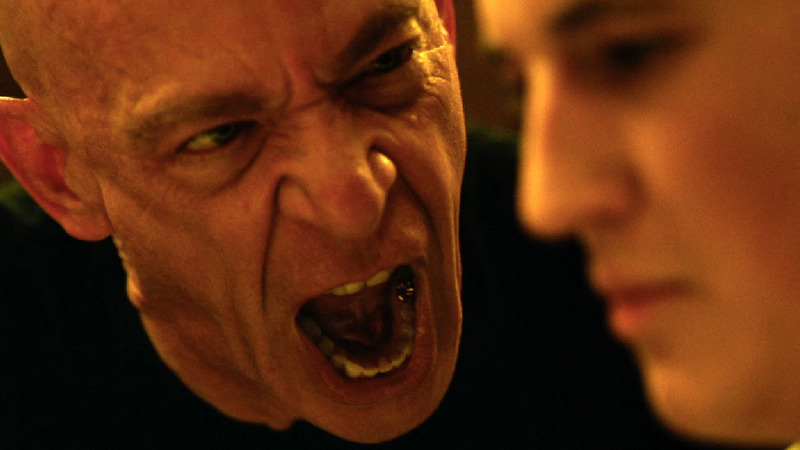 We’ll be hosting a live segment with ‘Whiplash’ star J.K. Simmons. Would you be interested in asking him a question live? We have our guests join via webcam using Google Hangout (very easy to setup/use, and I can help with all). Please contact me at your earliest convenience, and I’d be happy to provide additional details. Feel free to call me on my cell 862.262.3556 as well.